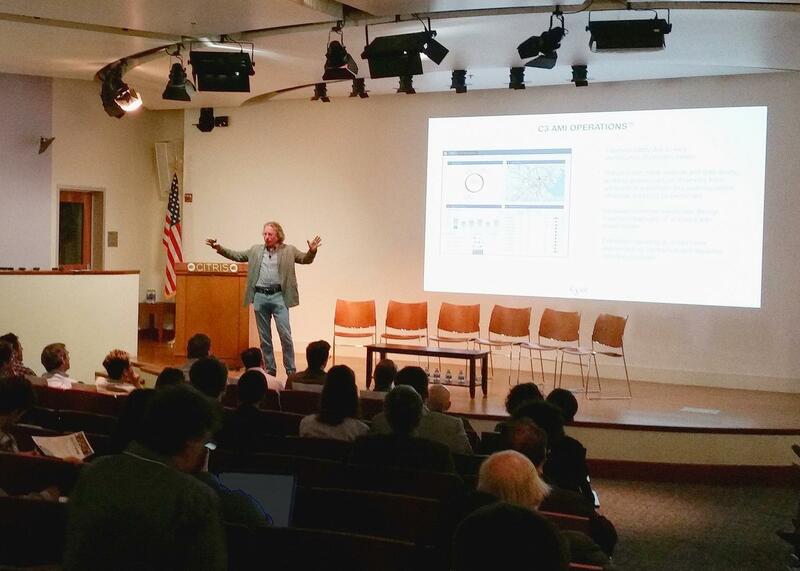 REDWOOD CITY, CA--(Marketwired - May 13, 2016) - C3 IoT CEO Thomas M. Siebel delivered the keynote address on the impact of the Industrial Internet of Things at a symposium on IoT and sustainability, hosted by the Center for Information Technology Research in the Interest of Society (CITRIS) and the Banatao Institute at UC Berkeley yesterday. 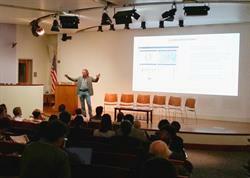 "We were honored to have Tom Siebel offer keynote remarks at the conference. He has established a proven track record in identifying and applying improvements in information technology to solve complex system problems," said Dr. Camille Crittenden, Deputy Director, CITRIS. "Our audience of academic, industry, and government leaders gained unique insight from his expertise in using advanced data science to deliver on the promise of the Internet of Things." CITRIS and the Banatao Institute hosted this week's symposium, called "IoT & Sustainability: Practice, Policy and Promise," to explore the promise of IoT platforms as a nexus of innovation for managing energy, water, and transportation in urban environments. Attendees discussed technology-enabled opportunities to promote sustainability and business, and how these developments can be implemented to improve efficiency and civic health. Tom Siebel delivers CITRIS keynote on IoT and sustainability.